The city of dreams, Mumbai is always on a run. Run for fame, glitz, glamour and fantasy. 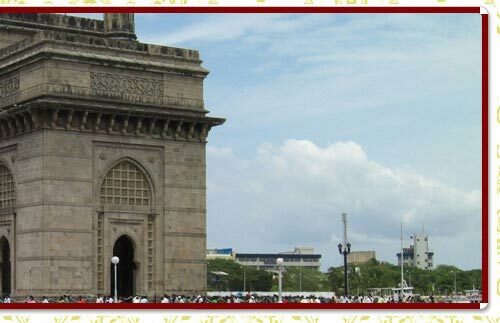 Known popularly as 'Mayanagri', Mumbai attracts the tourists with its carefree feel and distinct character. The most populous country of Indian subcontinent, Mumbai is the financial capital of India with NSE located here. Also many tourists visit Mumbai to just get a glimpse of film stars; enjoy the bhel puri at chowpatti or feel the remnants of British heritage with Gateway of India. Main Attractions: Elephanta Caves, Juhu Beach, Gateway of India. Geographic : Located to the north of Western Ghats, overlooking the Arabian sea is the greatest city in India, Mumbai. Famous for: Known formerly as Bombay, it was renamed Mumbai after the local deity Goddess Mumba. By Air : Mumbai is the main international gateway to India, with the international terminal Sahar being around 4 km from Santa Cruz, the domestic terminal. By Road : Ahmedabad, 8 hours, Pune, 3 hours. By Railways : Mumbai is well connected with the rest of the country & is a major railways hub. It also has an efficient local train service. Mumbai formerly known as Bombay as the capital of Maharashtra, the financial & the cultural capital of India. The most populous city in India, it is the second most populous city in the world. Mumbai lies on the west coast of India and has a deep natural harbor. Originally Mumbai consisted of just communities of fishing colonies living on seven islands, during the 18th century, large-scale civil engineering projects were undertaken & Mumbai emerged as a significant colonial bastion. 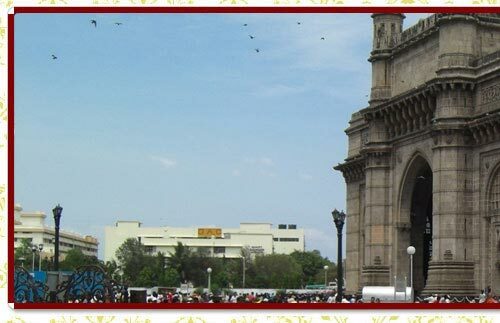 Since then, Mumbai has thrived & today is a cosmopolitan city with an atmosphere of bustle which is completely different from the rest of India, an amazing experience which is part of Mumbai city tour. The caves are a vast network of sculpted caves located on Elephanta Island, or Gharapuri, which literally means the city of caves near Mumbai Harbour. The site consists of two groups of caves-the first is a large group of five Hindu caves, the second, and two smaller yet impressive Buddhist caves. Although the identity of the original builders is still a subject of debate, the caves have been dated to between the 5th and 8th centuries. The caves were hewn from solid basalt rock & were also originally painted in the past, but now only traces remain. The main cave was a Hindu place of worship until 1534 when the Portuguese rule began, after which the caves suffered severe damage. The caves are amazing testaments to the times that were & have been accorded UNESCO World Heritage Site status to recognize this. The most famous beach in not just Mumbai, but India, the Juhu beach is a favorite amongst tourists who visit it as part of Mumbai tourist places. Although a relatively less crowded space where Mumbaikars come to jog in the morning for its fresh air, the beach is crowded like a carnival on evenings and weekends. Juhu beach is famous for spicy Mumbai street food, like bhelpuri, pani puri, chaats, and the universal favorite pav bhaji. Tourists enjoy savory food as they watch planes from Chhatrapati Shivaji International Airport, which usually takeoff directly over the beach, heading towards the sunset. Built to commemorate the visit of King George V and Queen Mary to Bombay, prior to the Delhi Durbar, in December 1911, the Gateway of India is a grand monument on the waterfront in Apollo Bunder area in South Mumbai. The gateway has been a landing place for British governors and other distinguished personages & it was this monument that visitors arriving by boat would have first seen in the city of Mumbai. A combination of both Hindu and Muslim architectural styles, its design is a unique combination with the arch in Muslim style while the decorations are in Hindu style. Gateway of India is one of the prime tourist places in Mumbai.